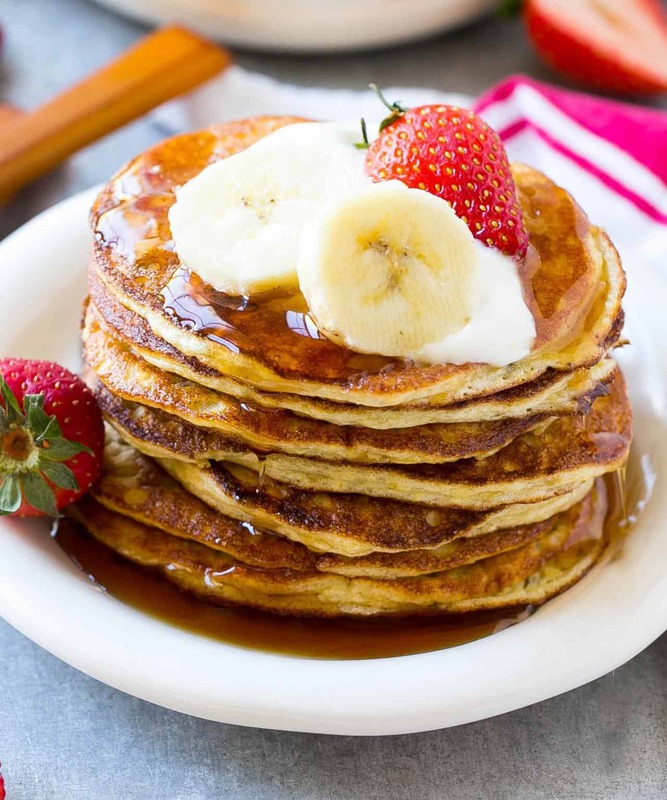 This Banana Protein Pancakes recipe is Protein-packed and naturally sweetened with bananas. No guilt needed while you enjoy this pancake breakfast that will keep you full until lunchtime. What do you like having for breakfast? Sweet or savory? 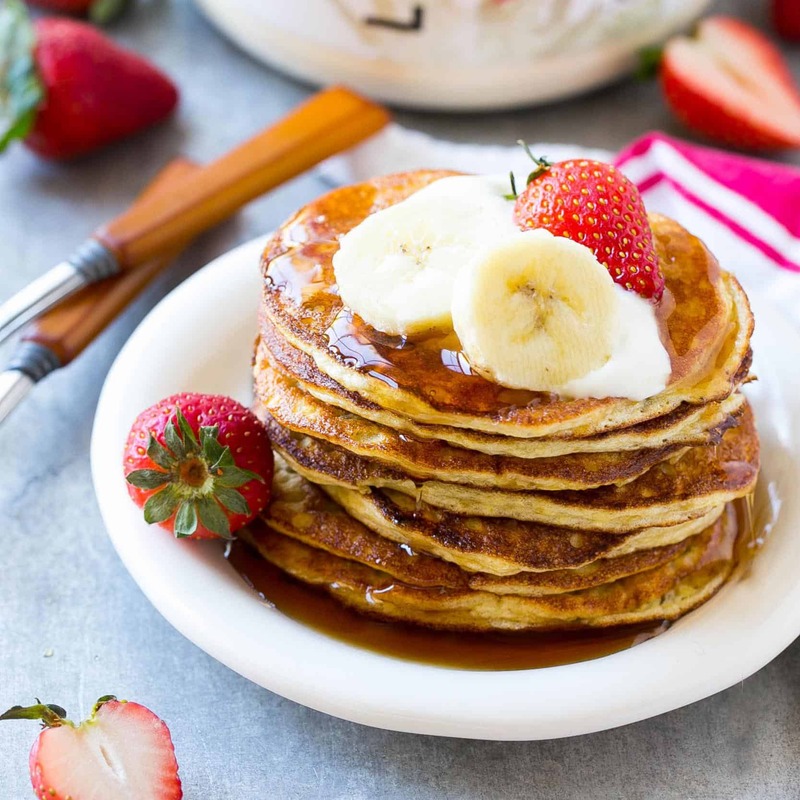 I tend to lean more towards sweet so this Banana Protein pancake recipe is one I make quite often. My kids can’t tell that I add protein to pancakes sometimes which is a plus. 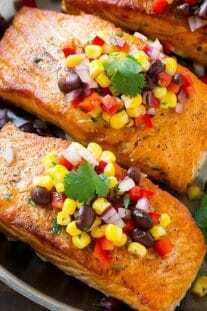 If you aren’t a protein fan, you can use something else in place of the protein. Whole wheat flour or Oat flour will work just fine. Depending on how you make your pancakes will determine how healthy they are. 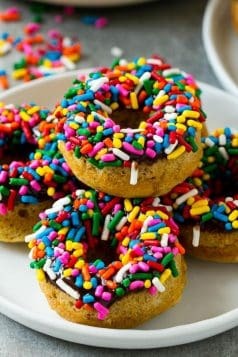 If you use whole grain or whole wheat flour which has more fiber and more filling than white flour then you have increased your odds right there. 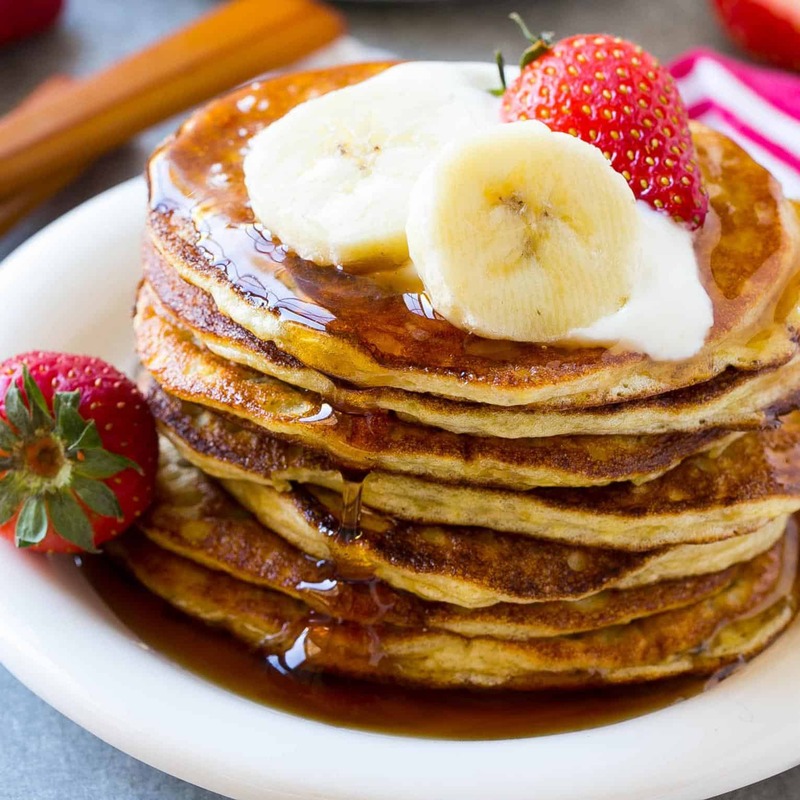 To sweeten your pancakes, instead of using sugar, use ripe bananas instead. 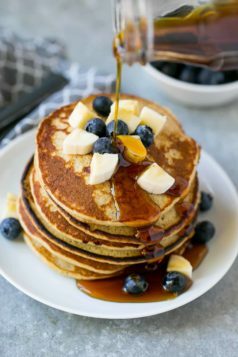 For a high protein pancake like this banana protein, pancake recipe add some more protein to the mix. 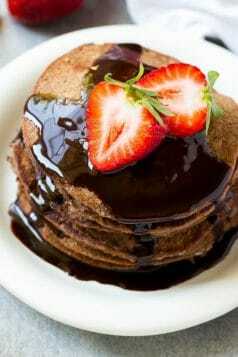 Most homemade pancaked are much healthier than most pancakes served at restaurants. 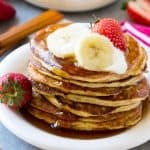 I make a huge batch of this banana protein pancake and save some for the next day. When ready for pancakes, I simply reheat them. Usually, i make huge batches of protein pancakes or waffles and reheat them. It is very safe to reheat your protein pancakes. 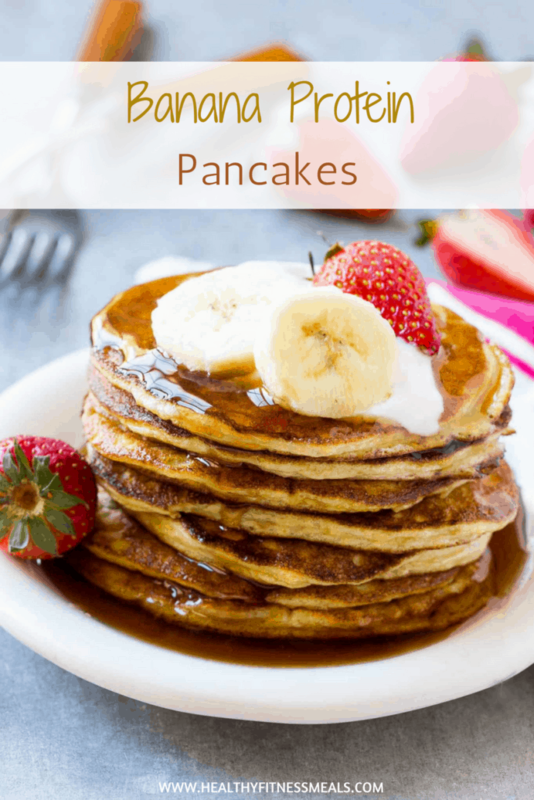 What’s your favorite pancake recipe? I would love to hear about your own creations. If you happen to take a picture of this Banana protein pancake, tag me on Instagram so I can see it and share it! 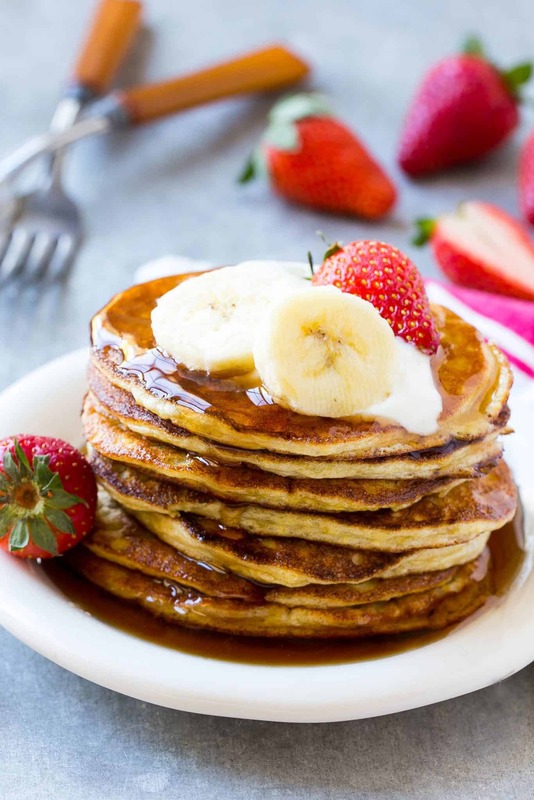 Finally, remember to subscribe to my NEWSLETTER for free and receive all my new recipes like this Banana Protein Pancake Recipe delivered right to your inbox! 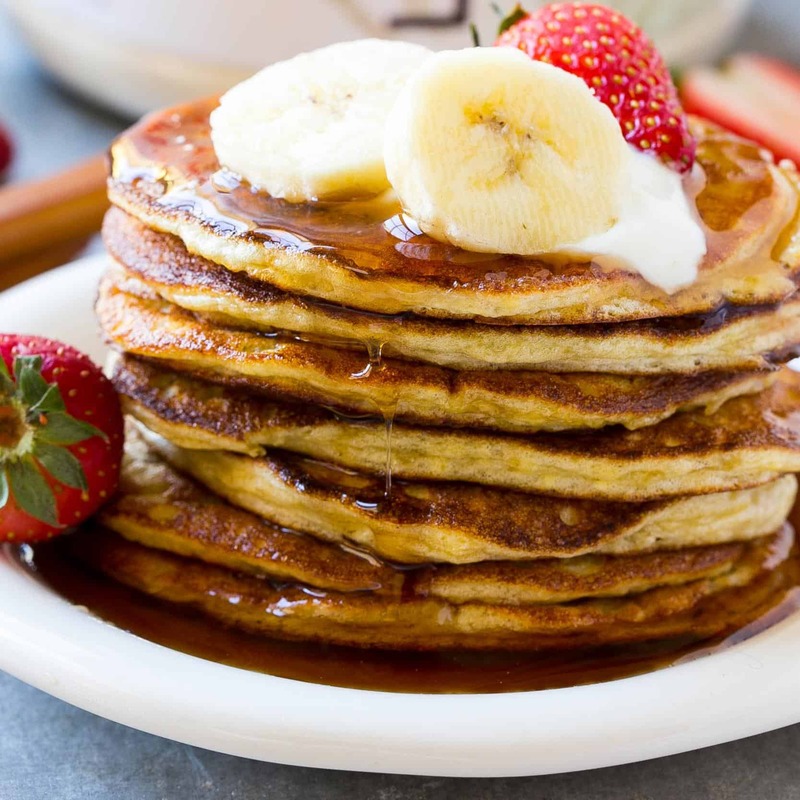 Protein-packed pancakes naturally sweetened with bananas. Separate the egg yolks from whites, placing them in different bowls. Using a mixer, beat the egg whites for 2-3 minutes until soft peaks form. Add the banana, protein powder and baking powder to the egg yolks and beat with mixer until smooth. Gently fold half of the egg whites into the egg yolk mixture until thoroughly combined. Repeat with remaining half of egg whites. Heat the coconut oil on a skillet over medium heat. Pour ¼ cup of batter onto the skillet and cook for 1-2 minutes per side or until lightly browned. Repeat the process with remaining batter. Serve immediately. Nutrition facts values are just an estimate using a nutrition fact calculator. The values do not include the toppings used for this recipe. It's just for the pancakes.